The famous town of Balkh in the present-day Afghanistan was part of the Iranian Kingdom of Khwarazm in 1207 AD. Rumi was born there that year. 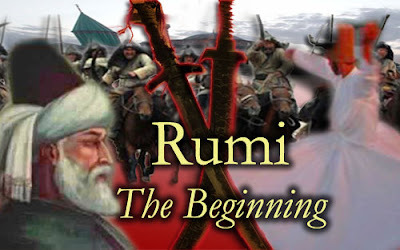 Of course, he wasn’t called Rumi then. His name was Jalaluddin. His father, Bahauddin Walad, was a renowned religious scholar and brought up his son accordingly but the young boy may have had extra-curricular activities, such as reading a story written by Sheikh Fariduddin Attar about birds in search of Simorgh. Guessing from his later work, he must also have enjoyed jokes and funny stories. 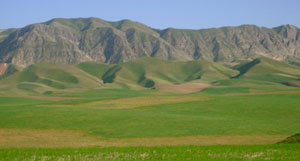 The young boy may have walked amid these green fields (the picture is from Balkh.Com) but some suggest that he was born further north. Still, growing up anywhere in this region, known to the ancients as Bactria, was to breathe nostalgia about more than one civilization. It was the birthplace of Zoroastrianism, and Buddhism had also thrived here once. How to integrate the legacy of many cultures with Islam was something on which this boy would leave more than a few notes when he grew up. These were the times of change. A year before Jalal’s birth, Mongol barbarians from Gobi Desert had unified under their leader Temujin whom they called “the Great Commander,” i.e. Genghis Khan (or Changez Khan, as Persians would later remember him painfully). Soon, Mongols took over the Chinese Empire. Jalal was still a boy when the governor of another city in Khwarazm executed some merchants on suspicion of spying. They were under the protection of Genghis, who now asked the king of Khwarazm to hand over the governor. The king executed the envoys too. Killing an ambassador was seen as an atrocity even in those days and the news was received at the Chinese court as something like a 9/11 of the thirteenth century. Genghis decided to overrun the Muslim world. Personally, what can explain to me is the coincidence that Rumi wrote a Masnavi as “the Quran in Persian”, his disciple Iqbal claimed about his own poetry that it contained nothing but the essence of the Quran; out of this literature a sovereign state was conceived but the British Viceroy didn’t agree with Muslims about when it should be born and for his very own reasons he thrust upon them a moment several months ahead of their preference, and, that very moment turned out be Ramazan 27. Peace it is till the rising of the dawn. Of course the right answer to that is, “Go get a life.” Unfortunately getting a life is not always easy, and the book of Jaswant Singh has given cue to the same hypocritical chest-thumping again: “Events of 1947 haunt everyone in South Asia…” In that case I must be an exceptionally lucky guy since they don’t haunt me. Maybe I should give a helping hand to others in moving on too! In the previous post I presented excerpt from a speech delivered by Nawab Ismail Khan at Aligarh University soon after partition. It may never have been published anywhere before (except possibly in some newspapers in 1947). I got it from Mr. Asad Ismail, the grandson of Nawab Ismail Khan. 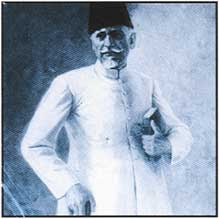 The speech is important because it shows us that according to the vision of the creators of Pakistan (one of whom was Nawab Ismail), there was going to be continuity in the history of Muslims in India: Sir Syed Ahmad Khan had shown how they could be loyal to alien rulers and still develop their national identity to the extent where it gave birth to a sovereign state. The same loyalty could be transferred to the independent state of India once it came into being. This also shows that when Muslims of the Sub-Continent demanded Pakistan they fully realized that many of them would stay behind in India as minority. Since Pakistan was a democratic demand affirmed through fair and free election, they had the right to expect that it shouldn’t be held against them. In the elections of 1945-46, Muslims voted almost unanimously for ‘Quaid-i-Azam’. Jinnah won all the seats reserved for Muslims in the central assembly of India. Majority of these Muslims lived in areas which were not going to be included in Pakistan. 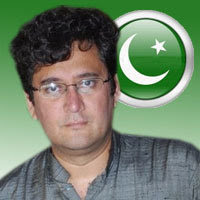 One question which has occupied my mind for quite some time now is why and how Muslims in present day India have come to stop taking pride in the unique achievement of their ancestors who created a sovereign state, outside the borders of their own country, with the sheer power of vote? Nor was it just any state. It was the largest Muslim state at the time of birth. To me it is the greatest tribute to the moral strength of humanity that a cart-driver in the colonial Delhi could feel that by using nothing except his right to choose, he could create a sovereign state many times bigger than Great Britain. Therefore the question: Who has robbed the hearts of Muslims, especially the present-day Indian Muslims, from taking a just pride in the unparalleled achievement of their ancestors? The individual ego becomes real by extinguishing itself in the collective ego or the spirit of the nation but how does one do that? The first step is to love the common culture of our society. The last step is to allow the consensus of our society to overrule our individual judgment - and hence "courtesy is the beginning of religion and love is its end." How many of them would be willing to concede that the opinion of a purely unschooled person about the future course of society should carry the same weight as their own? How many would be willing to accept that the consensus of their society can reflect Divine wisdom more than their own well-informed opinion? True selflessness comes from seeking and respecting consensus - this is the common message of Rumi, Sir Syed Ahmad Khan and Iqbal. According to Iqbal, this collective ego of humanity is real. Individual ego is virtual. Hence individuals need to extinguish their egos, or selves, in the collective ego in order to become real. 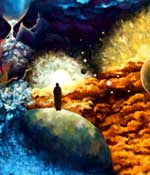 A nation which adopts the Unity of God as its basic principle becomes the collective ego on earth. Islam is one such nation, and hence for a Muslim the way to realize his or her self is by extinguishing their individual self in the collective ego of the nation. This has been explained in ‘Asrar-i-Khudi’ (1915) also but in more detail in ‘Rumooz-i-Bekhudi’ (1918) (both parts together form Asrar-o-Rumooz, the first published book of Iqbal’s poetry). The seven main chapters describe seven stations which seem to be metaphors of stages through which a soul must pass in order to attain its goal. 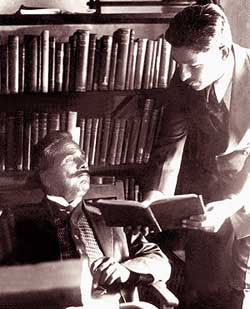 In the end, Iqbal meets God alone. He witnesses a present moment in which past and future are merged together. 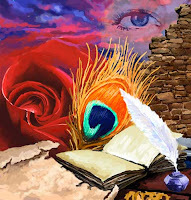 The course of history is discussed with the Creator, and Iqbal gets to see a vision of Destiny. He faints, but in the ‘Address to Javid’, he tells his son (and through him he tells us) that he is still praying for us in his grave. Does this mean that Iqbal finally attained that immortality which he was seeking? Every reader gets to answer this question on their own. There is an official fan page of the great Urdu writer Ibne Safi (1928-1980) on Facebook. Responding to the Independence Day greetings, an Indian Muslim commented on its wall, “What positive change has been engineered by Pakistan in the Muslim world after its creation, except for providing cheap labor to the Gulf?” I was cool with saying that Pakistan has given Imran Series (Jasoosi Duniya was started while Ibne Safi was still in India), but that was not all according to Sabahat Ashraf, Pakistani analyst living in America and well-known in the blogosphere as IFaqeer ( see picture above and check his blog after this post). He posted five comments (one was not enough), which are must-read. “I went a little overboard,” he admits. “But we need to have some of these discussions frankly, if we are going to heal the wounds of the ‘batwara’ and move ahead as an Ummah.” Given below are his comments compiled into a single text. 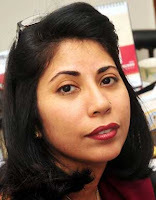 When Muslim countries – and the wider international community – have needed soldiers and manpower, Pakistan has stepped up; just a few: Jordan (Black September might have been evil, but it was done as a favor), Somalia (the first 24 UN casualties there were not US, but Pakistani – and they did a real peacekeeping job), you name it. Several new countries – Muslims and non-Muslim – from the Gulf to Zimbabwe have had their armed forces organized and trained by Pakistanis till politicsand racism kicked in. Pakistani economic experts have helped everyone – including, for example South Korea (Mahboobul Haque). The Algerian delegation was literally smuggled onto the floor of the UN General Assembly to declare their independence. Especially in our earlier, less-problem-ridden days, Pakistan did a lot of things like this. Hosting and helping form and lead the OIC. Yes, it has taken it's lead from the Saudis and Gen. Zia was a part of that process, but leadership started with Bhutto (despite all his faults). From the Indian Muslim point of view, have you heard of the Liaquat-Nehru Pact? 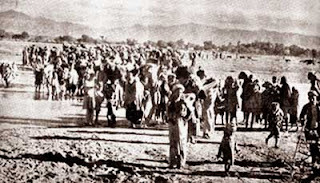 From the Indian point of view, a lot of the burdens Pakistan has carried – border dispute with Afghanistan, the unresolved issue of FATA, the fanaticism fanned by the Afghan resistance to the Russian Empire's expansion, unresolved political issues in Balochistan, just for example would – if Pakistan had not come into existence – be issues India would have to deal with. Racism, and exploitation of our people for cheap labor? Use of our society for experimentation with fanatic projects? And ask an Indian Muslim: What have Indian Muslims given us? Condemnation? Spite? Condescension? Calling us illegitimate? “Yes, we’re in a bad place right now, but are we getting any sympathy from other Muslims? Any help with dealing with the demons we’re wrestling? Take your reaction. You ask what we’ve given, and demand what we’re going to do about it. If you consider us part of a Muslim Ummah you are talking about, shouldn't your attitude be one of sympathy and trying to figure out how to help us in our difficult time? “Funny thing is, Pakistanis always have a sympathetic attitude to the plight of Indian Muslims and try to think about how to help solve their problems and make life better for them. Ask yourself honestly: is that the attitude of Indian Muslims towards us? And I mean that individually, because I know some Indian Muslims are coming around. “One last point: one of the demons we are wrestling with is that of religious fanaticism, and Indian Muslims often talk down to us on that issue – “Look what they’ve done to our beautiful religion…” Our societies – Pakistani and Indian Muslim – are not very different and my personal opinion is that you are just a generation behind us on that score but are in denial. The sooner you get off your high horse and deal with the issue, the better it will be for all of us.